For business executives, mid-size executive luxury cars are prime picks. They typically offer most of the luxury of their much more expensive full-size counterparts but with better fuel economy for commuting and a smaller size for easier (relatively) parking. One of the most popular mid-size executive luxury cars is the Audi A6 and this latest iteration is one of the best. In this new video from CarBuyer, we take a look at the new Audi A6, what’s interior is like, what it’s tech can do and how it is to drive. 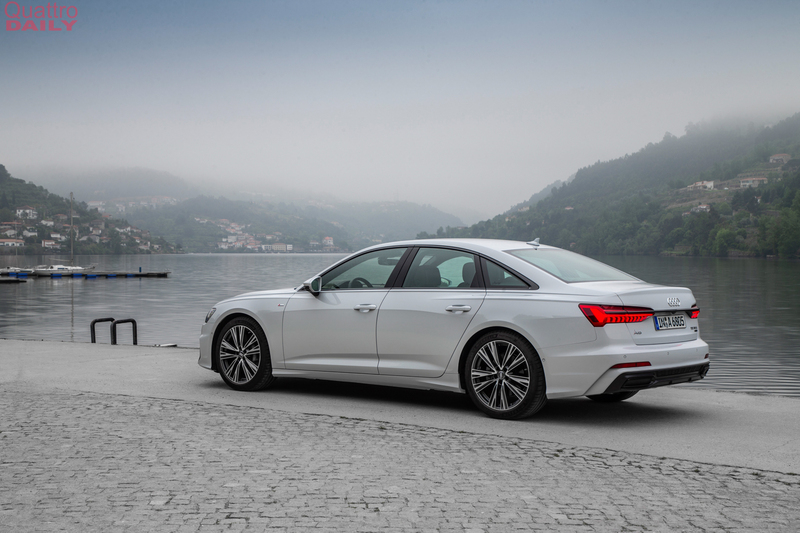 While the Audi A6 looks sharp and modern, it’s not the most exciting looking car. If you want something more aggressive or more exciting, you’ll have to wait for the Audi S6. Though, we suspect that won’t be too much more exciting either. On the inside, though, the Audi A6 is hard to fault. Its design is fresh and modern, its materials are the best in class and it’s oozing with tech. While that technology might be too much for some customers, as many prefer physical buttons to touchscreens, there’s no denying that it’s very technologically impressive. But more important than all of that, what’s the Audi A6 like to drive? CarBuyer’s Ginny Buckley finds out and it seems exactly as it’s supposed to be. The ride is very comfy, especially on its optional air suspension, and the cabin is nice and quiet at speed. Yet, it’s very planted and composed. It’s no BMW 5 Series in terms of handling or dynamics but it’s won’t fall down in corners either. Still, it’s very much a quiet, comfortable, high-tech cruiser that makes easy work of munching miles on the daily commute. So if you’re not looking for a sports car and want a good looking, high-tech, comfortable cruiser that can handle the occasional bit of twisty road, the Audi A6 is the ebst car in its class.